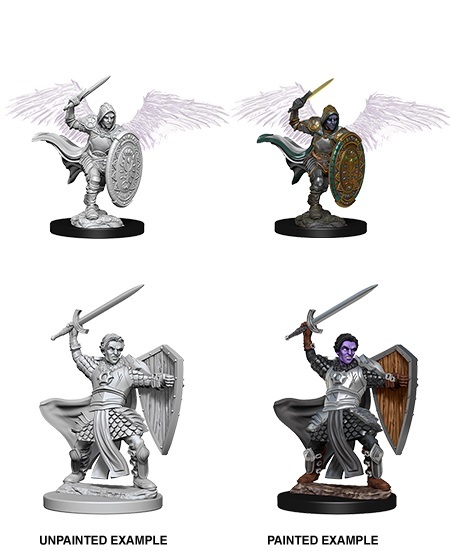 Nolzur’s Marvelous Miniatures are the Dungeons and Dragons line of unpainted miniatures available from Wiz Kids. 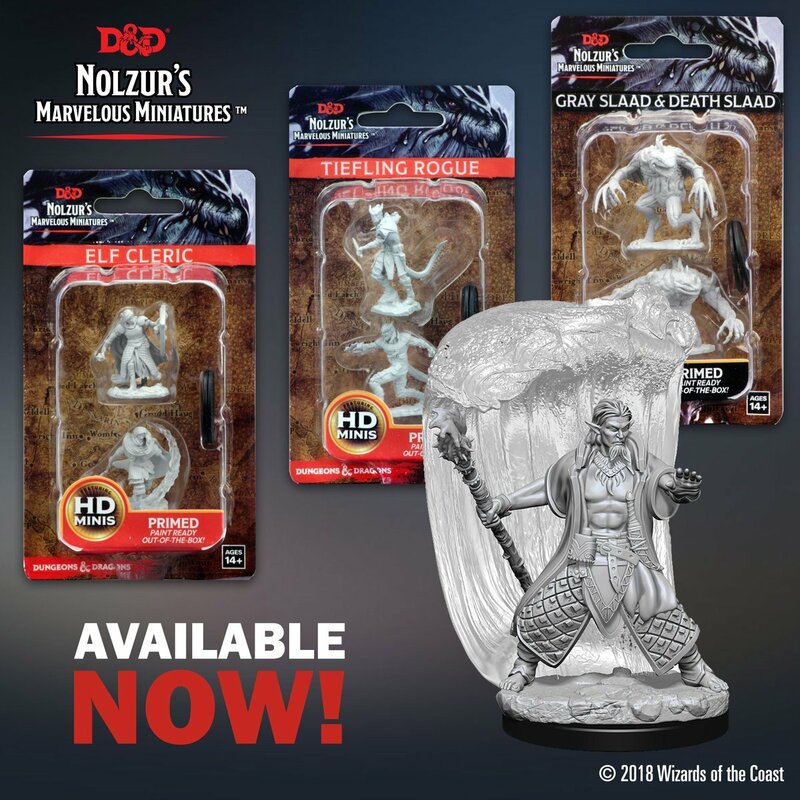 Equipped with a ton of heroic detail and a license to make miniatures that are, well, licensed–Nolzur’s Marvelous Miniatures brings the world of Dungeons and Dragons to life on your tabletop. 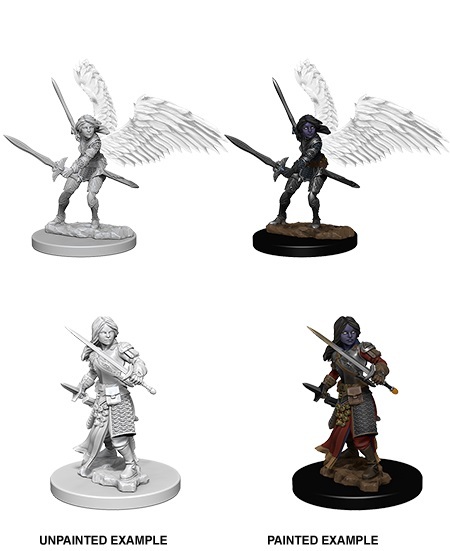 Wave 5 is no different, though there are a few more miniatures representing rarer player choices, including Aasimar, you’ll find a variety of heroes and villains in this new wave, just waiting to challenge your party. 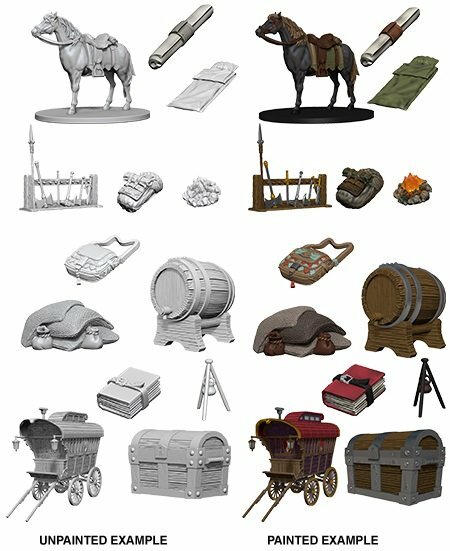 Here’s what we’ve seen so far, for the new wave of miniatures. 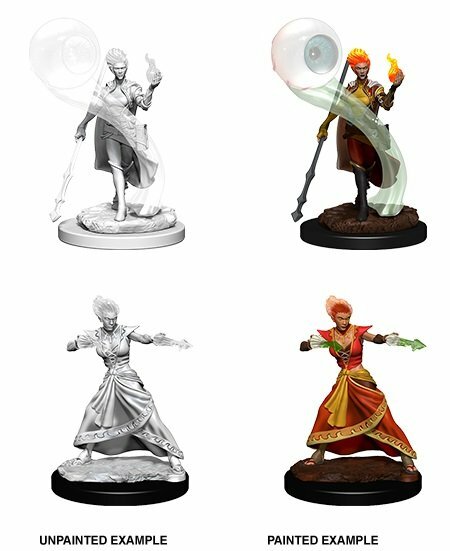 These are primarily hero races, though they do have a few monsters in the works–we just don’t see too many previews of monsters, because it’s all about finding the perfect representation for the stars of your show first: the heroes. And where will they stay? 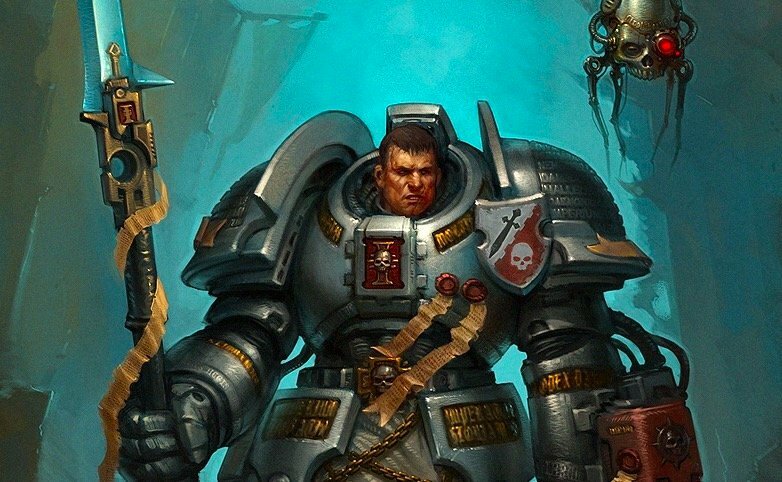 Why at an Adventurer’s Camp, of course! 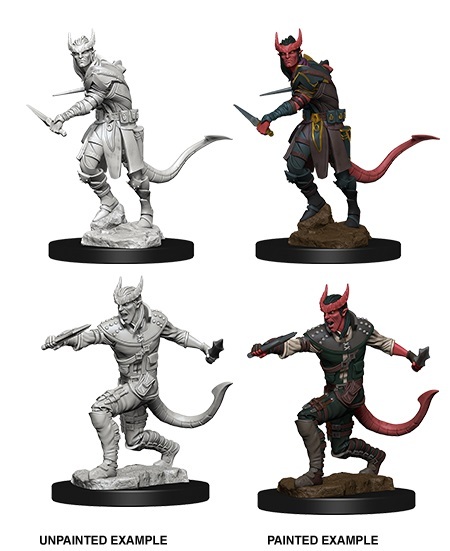 And here you’ll find a preview image of some of the more monstrous denizens you can expect to run into.. 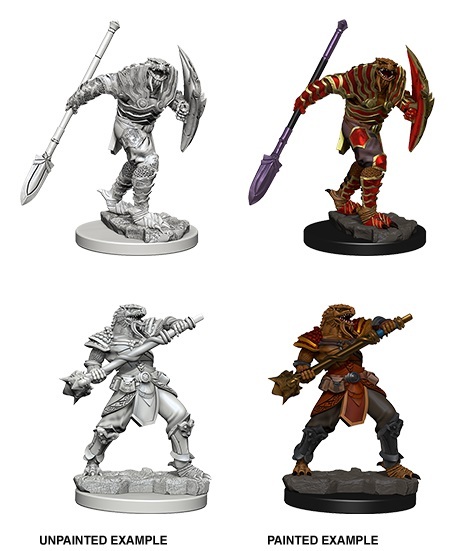 The Gray and Death Slaad will be joining the ranks of monsters like the Owlbear, ready and willing to devour these hapless PCs. 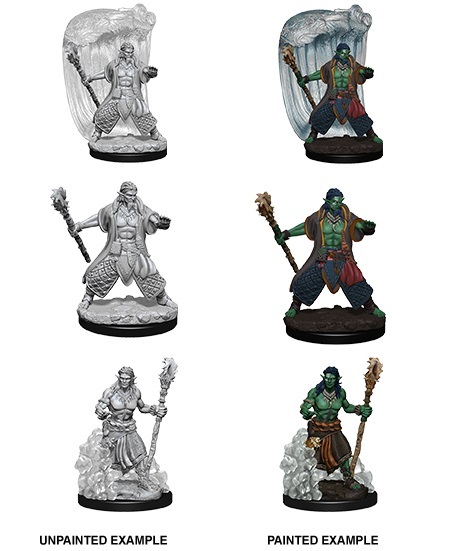 At any rate, these are all the Nolzur’s Miniatures teased so far in Wave 5–but stay tuned for more previews as they drop.